This is the Blog for MORRIS BERMAN, the author of "Dark Ages America". It includes current publications and random thoughts about U.S. Foreign Policy, including letters and reactions to publications from others. A cultural historian and social critic, MORRIS BERMAN is the author of "Wandering God" and "The Twilight of American Culture". Since 2003 he has been a visiting professor in sociology at Catholic University of America in Washington, DC. Feel free to write and participate. This 2006 film is a bit dated (they actually believe the Democratic Party is going to turn things around), but worth a view nevertheless. One hopes Liberty News TV will do a follow-up on the emptiness and spinelessness of Barack Obama--his pandering to the Pentagon, bailout of corporations, and continuation of neoliberal economic policy--but for some odd reason I'm not holding my breath. Enjoy! It seems to me that Liberty News is committed to the belief that change of a structural order of magnitude is possible ("if only enough people...") and that is their raison d'etre. But thank you Morris for the url as it is a great source for hearing alternative voices (crying in the wilderness?) Besides, the female anchor, Liz Chambers, is very pretty, like an angel in an Italian Renaissance painting! On the subject of technological progress increasingly giving diminishing returns: Go to http://c-realm.org and listen to the archived podcast-interview "C of Hype" (Episode 104). MIT computer-science graduated Microsoft engineer/designer Bob Seidensticker (homepage: www.future-hype.com) gets interviewed by a the C-realm host, a "recovering singularityist". I post it for general interest, but can't look at these rt now as I am currently in deepest Guatemala (complete with Internet, Burger King, and cell phones up the yin yang). The town is 50% indigena, and yet drowning in American toys. Anyway, thanx for yer contribution, and I hope readers enjoy it. Far more interesting to me than the Seidensticker interview, which consists largely of clobbering a gnat ("Singularitarians") with a sledgehammer, is the discussion that follows with John Horgan, author of the fine book Rational Mysticism: Science Meets Spirituality in the Search for Enlightenment. The discussion with Horgan continues in the following program. As an aside, I highly recommend Horgan's book. It offers a view of the form of participating consciousness known as mysticism from multiple and diverse perspectives. Interviewees include Huston Smith, Steven Katz, Terence McKenna, Susan Blackmore, and many others. First off, I'm neither Democrat or Republican. I'm a Political Atheist, and although I agree with most of the content and opinions presented here, there is no question that this was a completely one-sided hit piece created by Democrats to bash Republicans and George Bush. To that I say, please, spare the rhetoric and propaganda. Does anyone actually believe Democrats are the "Hero's" portrayed in this piece?Get real, they're all self-serving bastards...both Dems and Repubs. This piece made it sound like Dems can do no wrong, and that they too have not caused many of the problems we face. This is not reality. What about all the debacles under Clinton? How the rapidly mounting failures under Obama? Why is the media giving Obama a pass, and not going after him as aggressively as when going after Bush? Face it, the entire system is rigged. Neither party is going to save us, and they're not going to do a damn thing to help the people. It's Over...the country is Done. I'm just trying to figure out what we should all do, where we should move to. Well, amigo, I couldn't agree with you more. Esp. your comments about the country being finished. That is plain as day. The only serious question facing any intelligent American at this point is where to move. I think that Liberty News TV is objectively quite a ways leftward of the Democratic party and ruling class politics in general. Just watch some of their other shows and you'll see. No more posts? Are you hoping we'll all go away? Ay, lo siento! 1000 apologies. I've been meaning to do something, but life has a tendency of getting in the way. I seem to be buried by tons of stuff, both academic and non, but hopefully I'll get round to it pretty soon. Thanx for the poke in the ribs. Morris Berman is well known as an innovative cultural historian and social critic. He has taught at a number of universities in Europe and North America, and has held visiting endowed chairs at Incarnate Word College (San Antonio), the University of New Mexico, and Weber State University. During 1982-88 he was the Lansdowne Professor in the History of Science at the University of Victoria, British Columbia. Berman won the Governor’s Writers Award for Washington State in 1990, the Rollo May Center Grant for Humanistic Studies in 1992, and the Neil Postman Award for Career Achievement in Public Intellectual Activity (from the Media Ecology Association) in 2013. 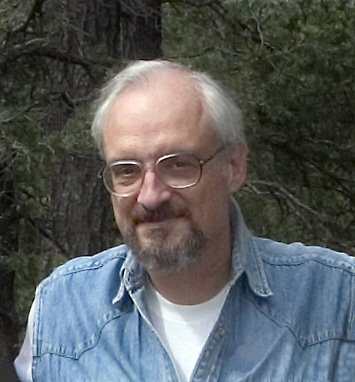 He is the author of a trilogy on the evolution of human consciousness–-The Reenchantment of the World (1981), Coming to Our Senses (1989), and Wandering God: A Study in Nomadic Spirituality (2000)–and in 2000 his Twilight of American Culture was named a “Notable Book” by the New York Times Book Review. Dr. Berman relocated to Mexico in 2006, and during 2008-9 was a Visiting Professor at the Tecnologico de Monterrey, Mexico City.